In this week’s feature, Dr. David Kippen starts a new series on how to Express Yourself and Build A Great Brand In Four Steps. John Sumser shares key insights from the December 2015 Workday Tech Summit. We have two episodes of HR Tech Weekly. 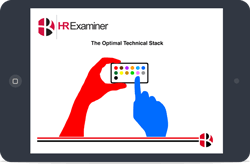 In Episode 51 of HR Tech Weekly Stacey and John have their year-end review for 2015. Next, listen to Episode 52 of HR Tech Weekly where John and Stacey discuss salary, compensation, benefits, and HR Technology in 2016. Join host John Sumser as he speaks with Jason Lauritsen, Director of Best Places to Work, on Episode 132 of HR Examiner Radio. In our feature article, legal editor Heather Bussing discusses online shaming in Blogging Law II: Online Shaming. Dr. David Kippen has a great article about how to brew up Your Best Coffee Date Ever. On Episode 12 of HR Tech Weekly Stacey Harris and John Sumser discuss HCM’s Race for the Cloud, The Internet of Things, Workforce Software, and Bersin’s Global Human Capital Trends report. John Sumser wraps up this week’s issue with Five Links (Okay, It’s Really Six), and Episode 88 of HR Examiner Radio where he speaks with The Job Board Doctor, Jeff Dickey-Chasins. Dr. David Kippen returns to the HRExaminer Editorial Advisory Board this week. Dr. Kippen is CEO and Chief Strategist of Evviva Brands. With a background spanning advertising and communications and a client base spanning the globe, Dr. Kippen is recognized as among the top thought leaders in brand strategy. David has held leadership roles in several top associations that support the HR and communications professions.